Still searching for those elusive last minute gift ideas for that special child (or child at heart) on your holiday list? Why not get them the magic of Christmas that they can experience all year round. Why plan your holidays around the beloved TV Christmas specials when you can watch them at your convenience in the comfort of your own home. 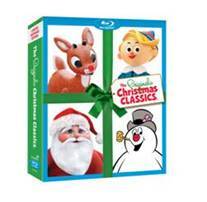 The Original Christmas Classics features four of the most beloved Christmas specials including “Rudolph the Red Nosed Reindeer”, “Santa Claus is Comin’ to Town”, “Frosty the Snowman” and “Frosty Returns”. 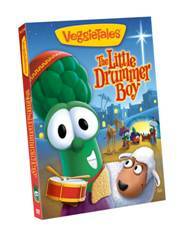 If you are looking for a story with a special Christmas message check out Veggie Tales and their often humorous retelling of the Christmas classic “Little Drummer Boy”. A story of generosity hope and love that is sure to warm up the hearts of many. Even if you order now and don't receive till after Christmas, it is still nice to have this collection for the holiday season.